Are you interested to learn something new but it is out of your budget? If you do not have enough money to pay for classes then do not worry. Android phones enable us to learn something new without spending a single penny. In this article we are going to explain about some interesting educational apps for Android users with a brief description of each. Whatever the reason to leave our study, we can continue our course on Android phone anywhere and anytime. 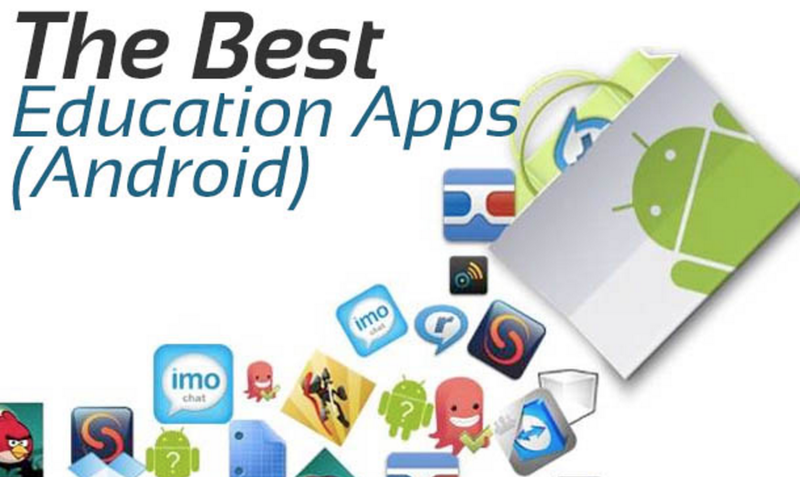 Educational apps for Android provide a digital platform for users where we do not need any books, teacher or even we do not need to search any material over the internet. These app provide proper study material in a well defined manner. EdX-Online Courses Android AppThis app offer courses from the world best universities and institution. We can easily learn these online courses in different fields.We can also test our knowledge by solving online quizzes and exam. Stream online videos of our course. We can easily choose our schedule of learning. It provide easy to interface and attractive look. Edx is most popular in all educational apps for android with rating of 4.3. Coursers: Online Courses Android AppWith the help of this app we can easily learn different courses on the go. It offer more than 1000 courses in different fields like programming, data structure, photography, music etc. These courses are developed by 140 plus top colleges of the world. Watch online lecture of your course and also download lectures for offline play. We can also learn dozes of different languages with the help of this app. It has a rating of 4.3 on play store. Udemy Online Courses Android AppDo your learning fast with 32 thousand online course and tutorials with this app. We can learn anything with the help of this app. This app offer courses in 80 different languages and range from free to short tutorials and master course. Be your own boss with this app and learn anytime without any expiration for lifetime. It has a rating of 4.4 on Google play store. 4. Duolingo Learn Languages Free. Duolingo Android AppIt is another interesting app in the list of educational apps for Android. If you have fond of learning new languages then this app is really for you. We can easily learn any language and its vocabulary and grammar with the help of this app. We can learn new words by playing games and improve our knowledge by quizzes and exam. We can practice of reading, writing, listening and speaking in its exercise. Ted Android AppExpand the world of your curiosity with ted, an online Android platform for learning different things for Android users. We can easily explore 2000 ted talks and its media library in 100 different languages. We can easily play its online videos and download it for later playing. It provide a large collection of different speakers from all over the world.It has a rating of 4.5 on Google Play store.